With thoughts slowly turning to summer, I’ve been thinking up some delicious, easy, refreshing and cool summer treats. 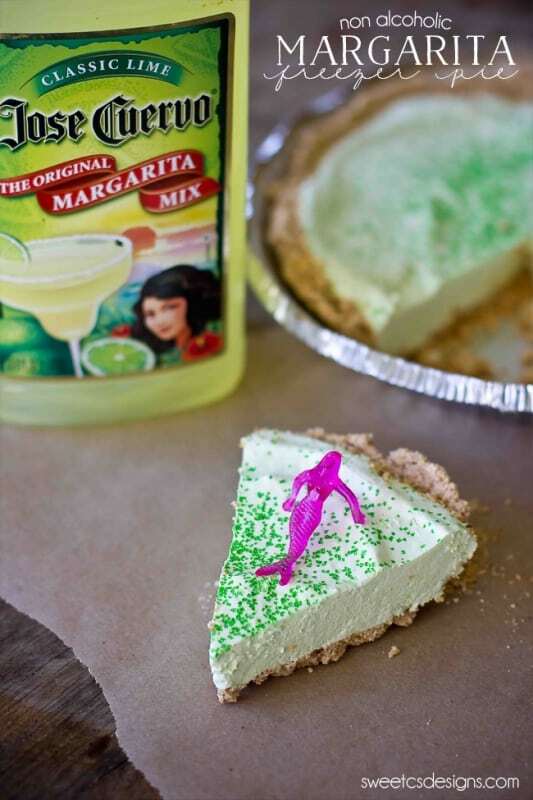 This Margarita Freezer Pie is so quick to make and SO delicious! And it can be made with or without alcohol – and with just 4 ingredients! I really love the way this pie came out after a little testing. 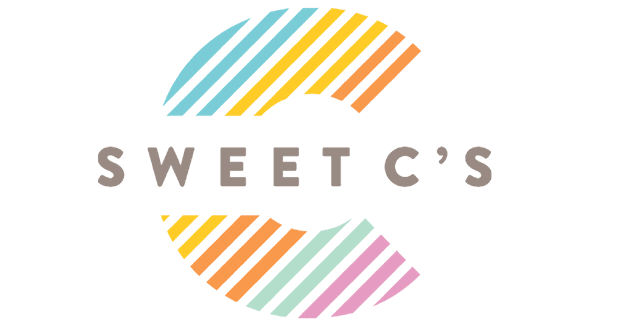 It is a bit less tart and sweet than a key lime pie, and it has a few less calories. It’s perfect for a party, and very easy to make. 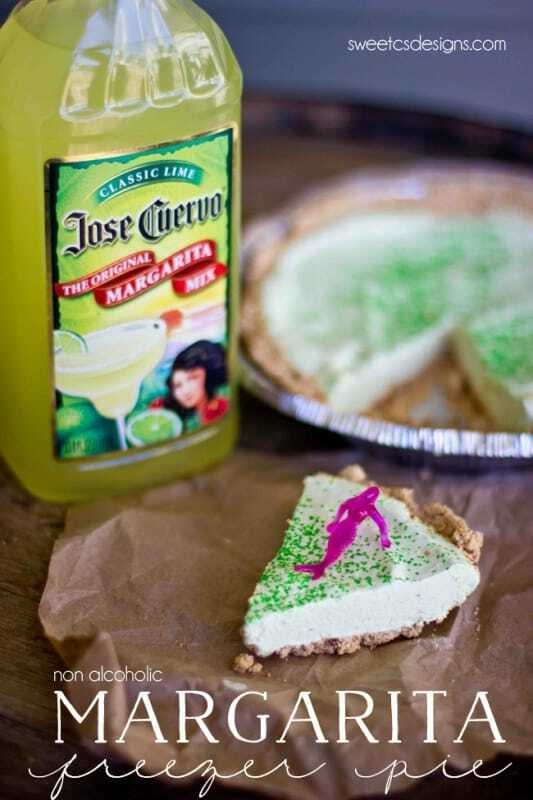 Since part of the fun of drinking margaritas comes with the fun, tropical adornments, I even added a little plastic mermaid (meant to sit on the rim of a glass) to sprawl out over the pie. I didn’t have any paper umbrellas, but those would be super cute, too! I added some green sprinkles- everything is better with sprinkles- and set it to cool for half an hour. Seriously- serving up a cute and delicious pie is just that easy! Mix, freeze, and serve. You can pop it in right as you sit down for dinner and be digging in by the time you’re done eating! 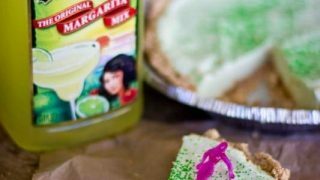 If you’d like to make it an adult version, I recommend Coyote Gold margarita mix (it comes with the tequila right in it.) We know the owners of Coyote Gold and got to sample it before it was on the shelves- lets just say this stuff is dangerous. It is SO good, and SO strong, you can quickly be a bit fuzzy. Just fair warning! Mix cool whip, yoghurt, and margarita mix in large bowl. Dump mixture into pie crust. Please only serve adult version to those 21+. The alcohol is in no way cooked/frozen out. This looks awesome! Pinned! And I literally just pinned like 20 of your recipes to various boards! I love your photography & style!